When you are buying your kid a drone, you are very sure that they are going to crash it a number of times before they can learn the ropes of flying. They may even crash it just for kicks, to see how long it will hold together. Not to fret though since the DROCON U818PLUS is available. This hardy drone is built to withstand the abuse that first-time pilots are sure to give it. With videos and photographs being used for research in school, there is every reason why you ought to buy your son or daughter a drone. For less than $200, you will get the U818PLUS and when you fly it, you will agree that it is the best cheap drone for the money. This is a big drone, measuring 14.3 by 15 by 7.5 inches in size. It weighs 2.75 pounds. It is big, but light at the same time. You will not be required to register it with the FAA. It is made of plastic, but it does not feel too “plasticky.” You will see that it can get through several crashes without becoming disposable. Flying it is such a daisy, as Doc Holliday in the movie Tombstone would say. It comes with one-button takeoff and landing. Even a kid will find this drone easy to land and take off. The propellers are protected to make them last as long as possible. Other features that make this drone good for beginners and children is the emergency stop and the headless mode. Usually, drones will fly in the direction that the nose is facing. However, as soon as you activate headless mode, the drone can fly backwards and sideways if you like. If the drone’s battery drains low, the drone will alert you so you can recall it. It will also alert you if it goes out of range. These features are very important for beginners because they can prevent the drone from getting lost. This drone also comes with real time transmission through Wi-Fi, and FPV technology. This means that when your kids are flying it, they can be able to see what the drone is seeing. As long as it is within the Wi-Fi range, this drone delivers excellent transmission. It has a wide-angle camera, with 120 degrees field of view. 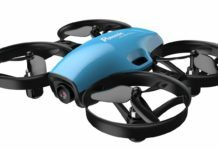 This camera can see quite a lot from above there and it can thus offer some of the best footage when your children are flying it in the yard, the park or any place. The quality of the footage is good too, at 720P. This camera can shoot video footage in HD, capturing all details in vivid clarity. It is best used for taking photo and video footage outdoors. When you buy the drone, you will get a card reader and a 4GB TF microSD card. Just insert that in the slot provided and you can start recording footage as soon as you fly the drone. If you think the 4GB card is too small for you, you can extend. Just buy a bigger memory card and you can record as much footage as you like. Can this drone hold at an altitude without drifting away? Yes. It is equipped with the barometer altitude hold feature. You can fly it to a designated level and it will hover there and take footage at your command. Using an advanced motor conversion technology, this drone is able to retain power much longer when hovering than most drones in its category. Thanks to this technology too, the drone can fly for about 15 minutes, far longer than other drones in the same class, which mostly fly for 8 to 9 minutes. The 7.4V 1000mAh Lithium Polymer battery takes a bit long to charge at 180 minutes. However, you can buy extra batteries to extend your flight time to 30 minutes or even longer. The flight range is 150 meters. Well, the truth is, on paper they say it is 150 meters but realistically, it is lesser than that, maybe 100 meters. But hey… 100 meters is still good enough for a beginner drone like the DROCON U818PLUS. 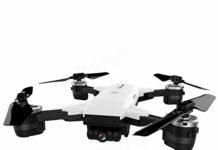 Some features like the three speed choices and the ability to do flips and rolls mid-flight makes many people doubt whether this is a beginner drone. It is, and it is incredibly good. The controller is stylish and has a stand for your smartphone. Just download the seamless DROCON app and you will be ready to get some real first person view, see what the drone is seeing as it flies. The controller is black in color and the drone is black and red. Its batteries are easy to get. I was hunting for a drone that my twin boys could play with for some time. Because of the low price, I did not expect this drone to last more than a couple of months. I am surprised it is going strong six months later. Bradley H.
For its low price, this drone packs a marvelous camera that shoots videos on HD. Who says it is for beginners? I have been flying drones for years and I love this one for what it can do. Henry H.
I bought this drone to practice with it before I can get a more advanced one for my photography business. I was not aware it could take such nice photographs, so even after I upgrade I will be keeping it for backup, or just for fun. Sharon B. 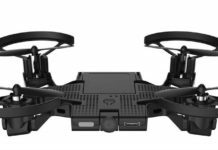 This being my fifth drone, I can say without fear that in this price range, the DROCON U818PLUS is the best of them all. 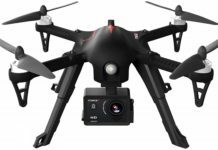 With incredibly stable camera, altitude hold and a considerably longer flight time, this is a good purchase for everyone and not only children and beginners as alleged. Tonia W.
Who Should Buy The DROCON U818PLUS? 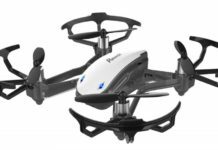 Many DROCON U818PLUS reviews say that this drone is for beginners and children. However, advanced drone enthusiasts disagree and say that they found it perfect, especially considering that it is sold at a very low price. Anyone can buy this drone for fun, but it is not recommended for professional photography and video work. If you buy it for your children, or to cut your teeth on piloting before you upgrade to a more advanced one, you can be sure it will withstand crashes. 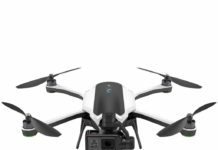 For any user, this drone gives great value for money. With altitude hold, FPV, 15 minutes of flight time, 720P camera with 120-degree field of view, at this price range, you can be sure there is no better than this made-in-Hong Kong drone. You can buy it online without hesitation, with full assurance that you will get more than enough value for every penny that you spend on it. 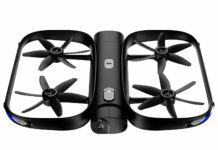 The DROCON U818PLUS drone does not come with spare batteries though. 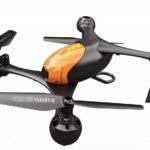 Buy one or two and extend your fun flying moments with the best cheap drone. 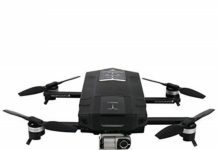 Next articleWhich Features Should you Consider while Buying Drones?